Animals Birds Central America Costa Rica Fauna Bird stamps from Costa Rica. 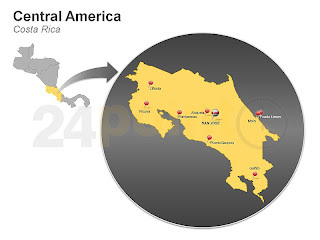 Costa Rica is a country in Central America, bordered by Nicaragua to the north, Panama to the southeast, the Pacific Ocean to the west, and the Caribbean Sea to the east. Costa Rica constitutionally abolished its army permanently in 1949.It is the only Latin American country in the list of the world's 22 oldest democracies. Costa Rica has consistently been among the top Latin American countries in the Human Development Index (HDI), ranked 62nd in the world in 2012. 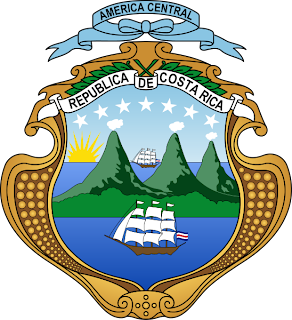 Costa Rica was cited by the United Nations United Nations Development Programme (UNDP) in 2010 as one of the countries that have attained much higher human development than other countries at the same income levels,and in 2011 was highlighted by UNDP for being a good performer on environmental sustainability and having a better record on human development and inequality than the median of their region. It was also the only country to meet all five criteria established to measure environmental sustainability. The country is ranked fifth in the world, and first among the Americas, in terms of the 2012 Environmental Performance Index. In 2007, the Costa Rican government announced plans for Costa Rica to become the first carbon-neutral country by 2021. The New Economics Foundation (NEF) ranked Costa Rica first in its 2009 Happy Planet Index, and once again in 2012. The NEF also ranked Costa Rica in 2009 as the greenest country in the world. In 2012 Costa Rica became the first country in the American continent to ban recreational hunting after the country’s legislature approved the popular measure by a wide margin. Historians have classified the indigenous people of Costa Rica as belonging to the Intermediate Area, where the peripheries of the Mesoamerican and Andean native cultures overlapped. More recently, pre-Columbian Costa Rica has also been described as part of the Isthmo-Colombian Area. The northwest of the country, Nicoya Peninsula, was the southernmost reach of the Nahuatl culture when the Spanish conquistadors arrived in the 16th century. The rest of the country was influenced by various Chibcha speaking indigenous groups. The impact of indigenous peoples on modern Costa Rican culture has been relatively small compared to other nations, since the country lacked a strong native civilization to begin with. Most of the native population was absorbed into the Spanish-speaking colonial society through inter-marriage, except for some small remnants, the most significant of which are the Bribri and Boruca tribes who still inhabit the mountains of the Cordillera de Talamanca, in the southern part of Costa Rica, near the frontier with Panama.